Willie Mota had a big day on in this April 1992 contest with Fort Myers, according to The Sarasota Herald-Tribune. Mota picked up three hits and three RBI. Helping those numbers was a fourth-inning home run, The Herald-Tribune wrote. Mota had that day in his fifth season as a pro. He made AA for the first time the next season. He never got higher. 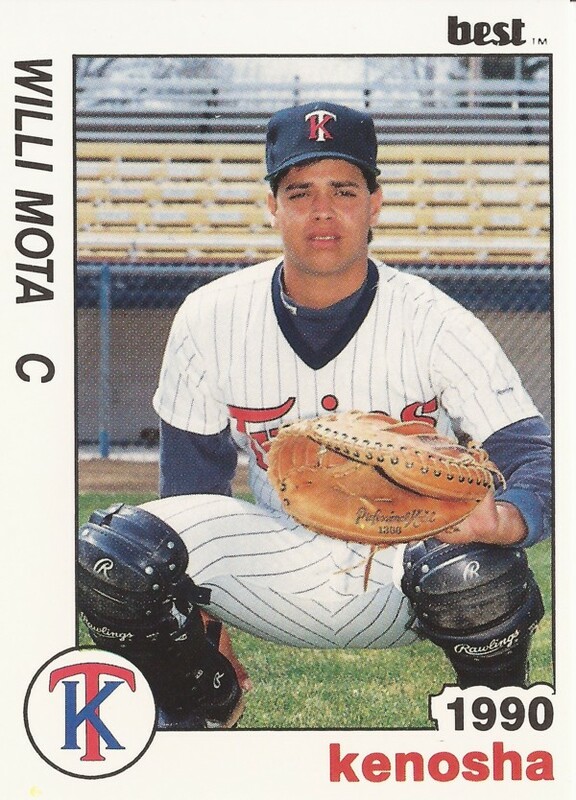 Mota's career began in 1988, signed by the Twins as a amateur free agent out of his native Venezuela. His name is spelled on his Best card Willi Mota. 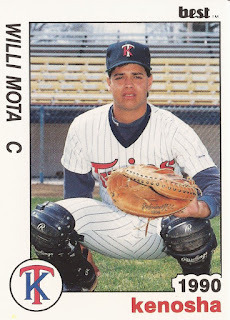 Mota started with the Twins at rookie Elizabethton. In 34 games, the third baseman hit .271. Mota played 1989 between Elizabethton and the rookie Gulf Coast League. Mota also turned catcher. He hit .308 on the year. For 1990, Mota moved to single-A Kenosha. His average dropped to .181. He then returned to Kenosha in 1991, hitting .279. He knocked in two runs on a June double against Madison. Mota arrived at high-A Fort Myers in 1992. In 106 games, he hit .273, with four home runs. He then split 1993 between Fort Myers and AA Nashville. He hit .234 that season, including a game-tying single for Nashville in May. But it was his final season as a pro.